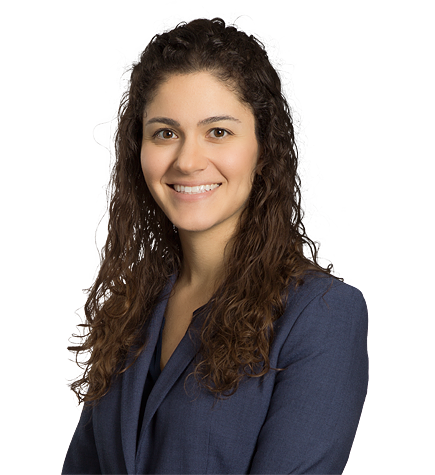 Adina Stohl's practice encompasses a wide range of commercial and intellectual property litigation in state, federal and appellate courts, as well as advising clients on patent development and enforcement strategies. She also maintains an active pro bono practice. Adina’s litigation experience has spanned a broad array of industries, including computer software, semiconductor, medical device, pharmaceutical, healthcare, and medical diagnostics. During law school, Adina served as a judicial extern to the Hon. Naomi Reice Buchwald of the U.S. District Court for the Southern District of New York. While obtaining her undergraduate degrees, Adina researched the synthesis of gold nanoparticle loaded polymeric micelles for in vivo molecular imaging and x-ray deflection simulation for improved breast imaging modalities. Idenix Pharmaceuticals, Inc. v. Gilead Sciences, Inc. Helped reverse the largest patent verdict in history for client Gilead Sciences. Irell was retained after a federal jury awarded over $2.5 billion in damages against Gilead in a trial where Gilead was represented by different counsel. Genentech, Inc. v. Celltrion, Inc.; Genentech, Inc. v. Sandoz, Inc. Representing Genentech in multiple litigations to enforce patent rights against manufacturers of Rituxan biosimilars. Gerawan Farming v. Agricultural Labor Relations Board. Representing Gerawan Farming, one of the nation’s largest fruit growers, in litigation against United Farm Workers of America and the Agricultural Labor Relations Board in various California state and appellate courts. Secured a Fifth District Court of Appeal win on behalf of Gerawan Farming against the California Agricultural Relations Board in a lengthy published decision that dealt with many issues of first impression regarding unfair labor practices and decertification elections under California law, resulting in a victory for the farm laborers who sought to have their ballots cast in a 2013 decertification election counted. Koninklijke Philips N.V. et al. v. ZOLL Medical Corp. Served on the team that defeated a $217 million damages claim for ZOLL’s infringement of defibrillator technology patents, and secured jury verdict of no willful infringement. Irell was retained for the damages phase after ZOLL was found to infringe in an earlier liability trial handled by another law firm. TiVo Inc. v. Samsung Electronics Co. Ltd. Represented TiVo in patent infringement litigation against Samsung in the U.S. District Court for the Eastern District of Texas. The case involved TiVo’s claims under four patents relating to digital video recording technologies. Peter P. v. Compton Unified School District. Together with Public Counsel, representing pro bono a class of students and three teachers from Compton Unified School District addressing the adverse impact of childhood trauma on learning. The complaint demands that Compton Unified School District incorporate proven practices that address trauma. Represented a molecular diagnostics company in patent litigation related to prenatal testing patent. Represented a developer and manufacturer of networking products in connection with a number of copyright actions, including actions before the U.S. Court of Appeals for the Ninth and Federal Circuits.